Who said sweatpants were only for lounging around eating leftover Chinese food on your couch? As one of my favorite spring trends, athletic wear has been reinvented with a chic, minimalistic feel in a plethora of luxe fabrics. Combining boyish silhouettes with a neutral palette and you get a look that’s not only smart but effortless. My favorite closet essential, the button down is being re-invented by designers such as A.Wang and 3.1 Phillip Lim in crisp new silhouettes, proving that simple is never boring. 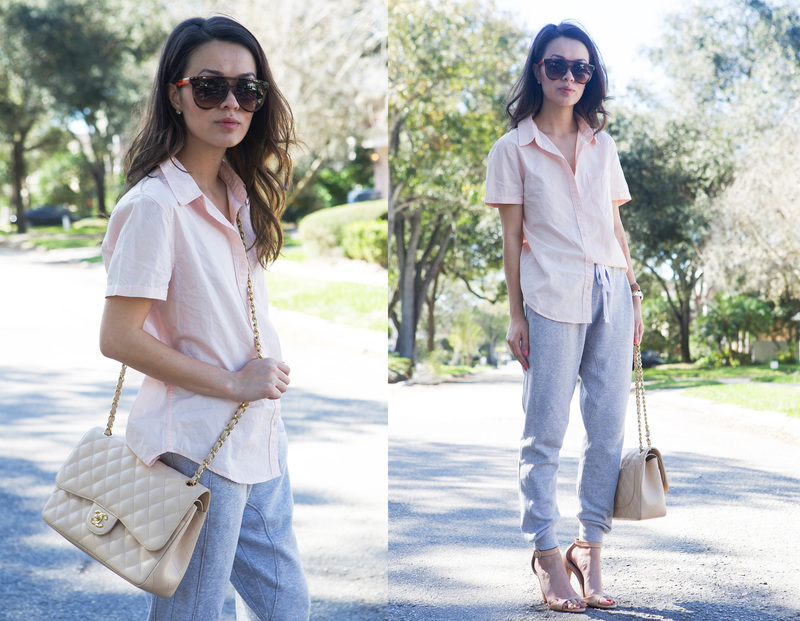 I scored this pale pink one at forever21 recently in stores but you can get the same look with a men’s shirt, like this one here. So, next time when you don’t feel like getting out of your comfy sweatpants, you don’t have to. Throw on a simple pair of heels, classic shirt, add a statement accessory and get in the game. Next Post A splash of something tropical, please. 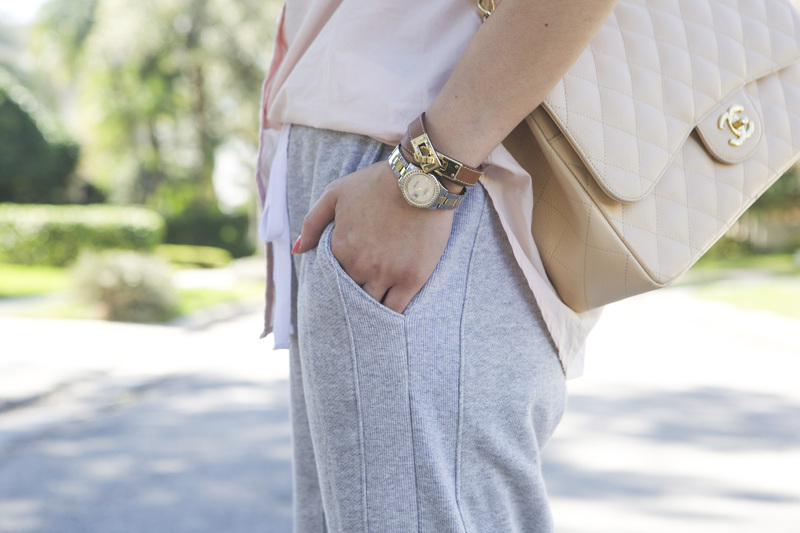 Who knew sweatpants could look so classy? You seriously rock anything, Hanh! This is the perfect casual-chic look!